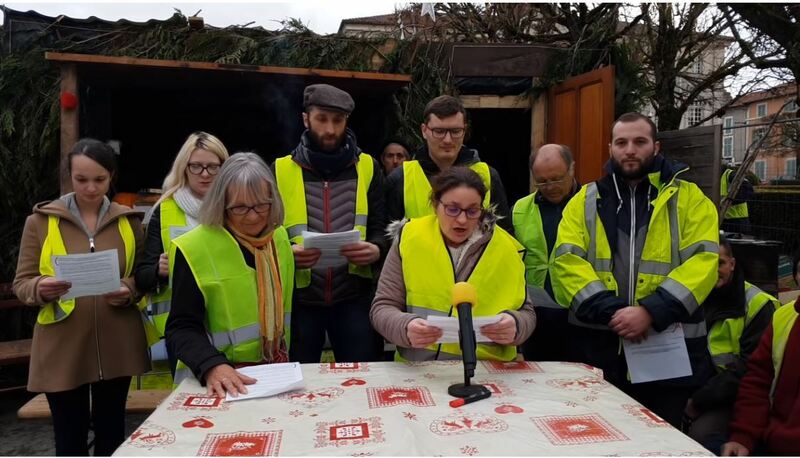 Since November 17th 2018, from the smallest of the villages deep in the country side to the biggest cities of France, we rose against this deeply violent, unjust and unbearable society. We are as strong as the diversity of our talks, at this very moment, hundreds of assemblies are elaborating and proposing their own demands. These assemblies are what democracy really is, they are approaching social justice, tax issues, working conditions, ecological justice and the end of all discriminations. Among the most strategical demands and proposals debated we find: the end of misery in all its forms, the transformation of the institutions (with projects like the Citizen Initiated Referendum, constituant assembly, the end of the privileges of the elected representents), the ecological transition (energetic scarcity, industrial pollution), equality and the recognition of anyone no matter what nationality (handicapped people, gender issues, an end to the isolation of the populous suburbs, neighbourhoods, rural areas and overseas territories). 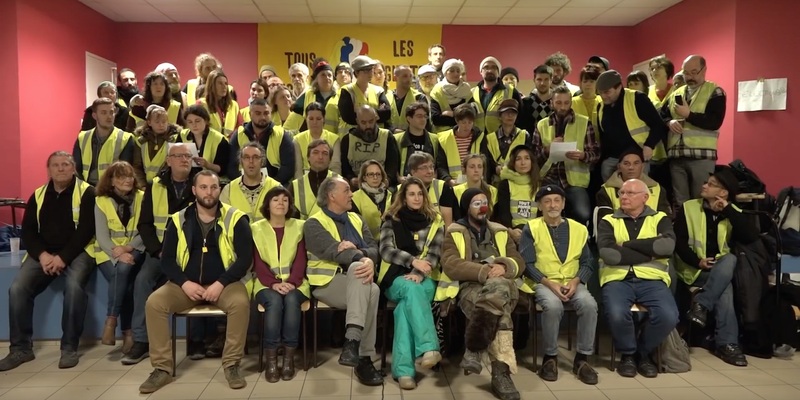 We, Yellow Vests, are inviting anyone with his/her own abilities and capacities to join us. We call to pursue the actions with Act 12 against police violence in front of the police stations and the Acts 13, 14 etc… We call for the continuation of the occupation of the roundabouts and the blockage of the economy, to engage in a massive unlimited general strike starting on February 5th 2019. We call for the creation of popular committees in the workplaces, in study places and everywhere else in order that this strike could be conducted from the grassroots by the strikers themselves and not by the unions. Let’s take the matter in our own hands ! Don’t stay alone, join us !